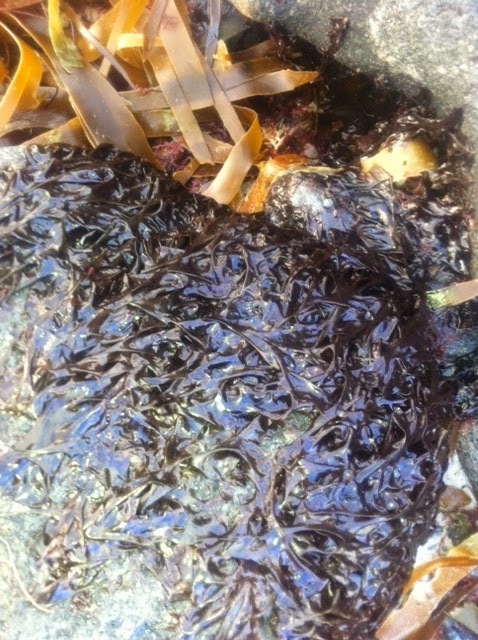 The Food Editor of Metro contacted me about seaweed recently, and this week, my favourite wild ingredient made Sky News. I'm indebted to Pete Moore (the wonderful wild ingredient photographer of The Forager's Kitchen ) for alerting me to this short video about seaweed and the British Menu. 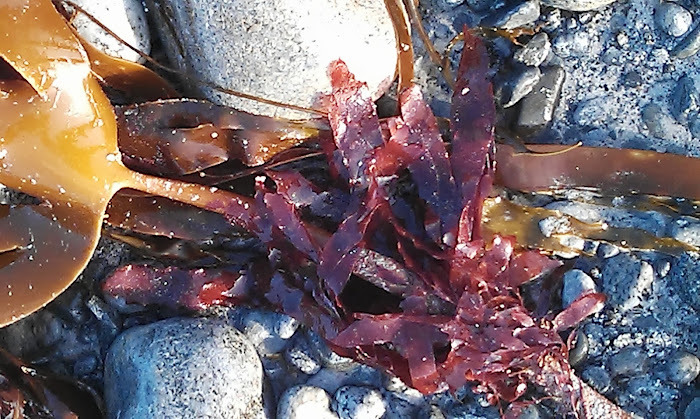 I've been researching Christian Feasts and Festivals and will definitely weave a dulse recipe into some text about St Columba. Meanwhile, Shony my sourdough starter continues to thrive. Yesterday, I headed down to the beach to replenish my laver stock for Shony's daily feed. 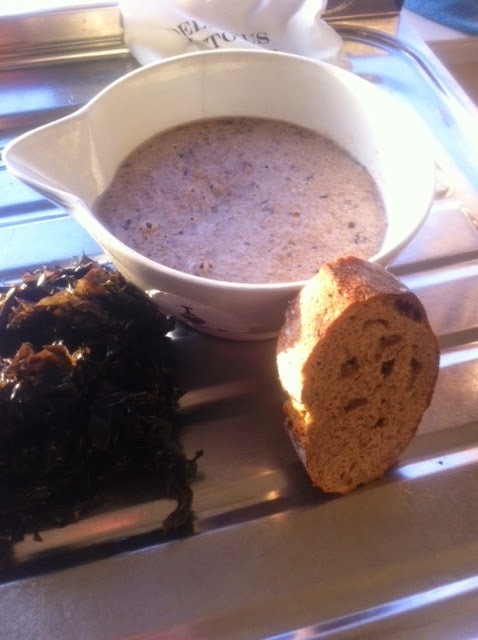 Here we have freshly gathered laver, Shony, my seaweed starter and a slice of laver sourdough.The recipe is in Seaweed in the Kitchen.